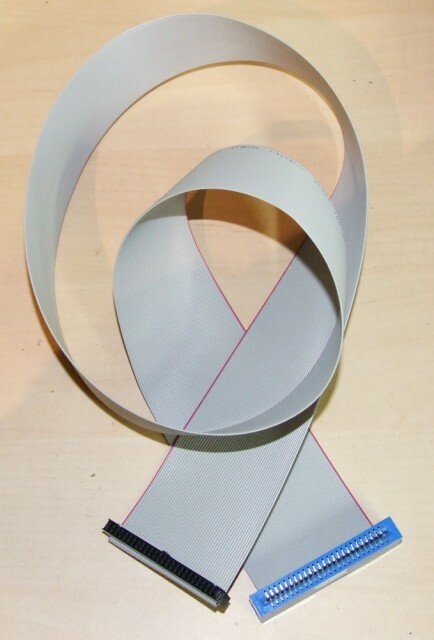 Looking for FreHD images, Auto Boot EPROM files, PIC updates and Hi-Res Auto Boot file? Go to the DOWNLOADS page. Invented by Frédéric Vecoven in Belgium, the FreHD hard drive emulator enhances your TRS-80 with fast, unlimited, inexpensive storage on SD cards. 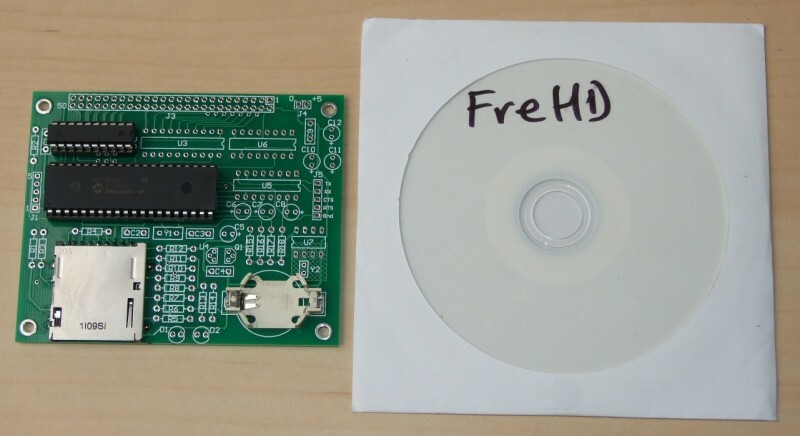 For insight into the design process of the fantastic FreHD, check out the inventors web site! Complete packages come with all parts ready to plug in and use! All packages include everything you need to start using speedy hard disk emulation on SD cards. Included are all cables and power supply. Internal connect power cables and Eproms are included as necessary. Who is it for? It's for Model I fans with a standard 16K Level II and monitor. No modifications to the TRS-80 are required (though lowercase is recommended). Who is it for? It's for Model I fans with an expanded 48K Level II system with Expansion Interface. An Eprom needs to be installed in the Model I (soldering required, but no trace cutting) and a power cable installed in the Expansion Interface (no soldering required). "If you don't want to modify your Model I then you can leave the Eprom out and boot the FreHD with a traditional floppy disk" - Ian. Who is it for? It's for Model III and 4 fans who want a plug in and use system. An Eprom needs to be installed in the TRS-80 (no soldering required!) and a power cable installed tapped from the disk drive power (no soldering required). "If you don't want to modify your Model III or 4 then you can leave the Eprom out and boot the FreHD with a traditional floppy disk" - Ian. Why is FreHD so Clearly Superior? available to use on a Model I without an Expansion Interface - no more trying to run DOS in 16K! *BACKUP your hard drive image to a safe place on your PC in under 10 seconds! Emulated hard drive is a single file on the SD card, make a backup with the flick of a mouse! 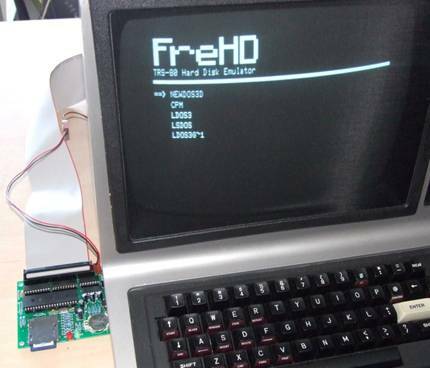 * FreHD can be used on other TRS-80 models. NO NEED to buy separate, different devices for your Model I and 4, for example. Just unplug FreHD from your Model I, plug it into your Model 4 and keep working.